The same problem arose in deciding how to select a President, the one nationally-elected official. Here again there was the fear that election by popular vote would overwhelm the will of smaller States. Again, compromise was reached to address the issue in a fair and equitable manner in order to maintain the power of the states. Each state was assigned a number of presidential electoral votes equal to its representation in the House and the Senate. 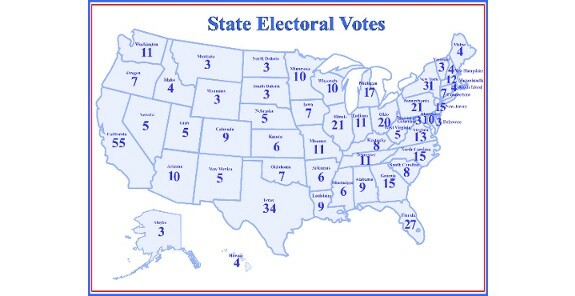 In each state, the electors would vote for a President and Vice President. The candidate receiving the largest number of electoral votes would be elected. Under the plan, the connection to the popular vote was the selection of state electors. The popular vote was to be used to select individuals trusted by the people to select the President. Each presidential candidate has a slate of electors committed to them. As the people vote for a candidate, they are actually electing his/her slate of electors. Again, the selection of electors goes directly to local control of the process. Under the Constitution, even the smallest state was assured at least three votes in the process. To provide a further check to protect the smaller states, in the event no candidate won a majority of the electoral vote, the names of the top five would go to the House of Representatives, where each state delegation would cast one vote for one of the candidates. In this process each state, again, is equal. The abolition of the Electoral College would, in fact, establish an election tyranny giving control of the government to the massive population centers of the nation’s Northeastern sector, along with the area around Los Angeles. If these sections of the nation were to control the election of our nation’s leaders, the voice of the ranchers and farmers of the Mid and Far West would be lost, along with the values and virtues of the South. It would also mean the end of the Tenth Amendment and state sovereignty.